Idaho Power Co. (IP) has joined with Intermountain Gas Co., U S WEST, and TCI Cable in the Joint Utilities Trench Program, which places electric, gas, and telecommunications, wires, cables, pipes, and conduits into a single trench rather than individual trenches for each service provider. The arrangement applies to new residential and commercial subdivisions, apartment complexes, and residential services. 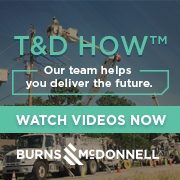 By using a single, joint trench, developers expect to reduce overall installation time for electric, gas, and telephone service in a new subdivision by as much as 70 percent. Top utility executives are winning pay hikes these days, but only at the cost of risky stock options that put a premium on company performance. "Higher overall pay levels, and especially the increased use of long-term incentive plans, point to the trend in the utility industry toward heightened risk-and-reward pay strategies," according to Executive Compensation in the Utility Industry, a recently released report compiled by William M. Mercer Inc. The use of at-risk pay incentives becomes even more pronounced as the size of the utility increases. Nevada Power Co. (NP) has announced a tentative agreement for the largest rate reduction in its history, reflecting lower purchased power prices, lower overall fuel costs, and improvements in efficiency. owners of the 560-megawatt Connecticut Yankee nuclear plant have decided to shut down the facility rather than make expensive repairs estimated at over $100 million, after having estimated plant costs at five cents per kilowatt-hour, or about 20-50 percent above the cost of replacement power. Let's hope that by now we all prefer market solutions to government mandates. Markets are generally more efficient and equitable. Recent experiences with deregulation for airlines and telecommunications have vindicated Adam Smith's notion that the "invisible hand" can prove superior to regulation. Unfortunately, this knowledge offers little comfort today to natural gas pipelines (em even to those companies not saddled with a surplus of transportation capacity. What's New About the FERC's New Utility Merger Policy? By a unanimous vote, on December 18, 1996, the Federal Energy Regulatory Commission (FERC) issued Order No. 592, stating how it intends to evaluate utility mergers. The anticipation has ended, yet those hoping for a new approach and a quicker review are bound to be disappointed. Order 592 is a "Policy Statement." As such, it only announces intentions; it imposes no new obligations and is not subject to judicial review until implemented in a specific case. A panel of governors in the Pacific Northwest expects to issue a plan this month that proposes a restructured Bonneville Power Administration, primed for the regional free-market electric economy. The panel would act on a steering committee report that resolved pressing energy matters in the Northwest. But the committee report left open other issues that some say could leave the BPA's future in doubt. that both supply and demand affect competition. This past December, the Federal Energy Regulatory Commission (FERC) issued a policy statement describing important changes in how it will evaluate proposed mergers under the Federal Power Act's public interest standard. These changes should lead to significant improvements (em not only in the evaluation of mergers, but also for other matters that affect market power, %n1%n including industry restructuring and market-based pricing. Dakota Gas Plant. FERC reverses law judge, ok's settlement on rates for synthetic natural gas produced at the Dakota Gasification plant. Commissioner James Hoecker terms result "unhappy," citing jurisdictional constraints: "I feel we are supporting a resolution in this case that otherwise would not be in the public interest." Dkt. Nos. RP93-100-000 et al., Dec. 18, 1996. Reactor Designs. NRC certifies two new designs for nuclear reactors: ASEA Brown Boveri-Combustion Engineering System 80+, and General Electric Nuclear Energy Advanced Boiling Water Reactor. Each assumes a vertical breakup, but watch out for securitization. It can prove difficult to detect any overt difference of opinion among financial credit rating agencies. That appears to be the case in today's electric utility industry, where Moody's, Duff & Phelps, and Standard & Poor's each predicts that a breakup of the vertically integrated utility is now virtually inevitable. The result, they say, will leave us with an industry made up of disaggregated high-risk power generators, and lower-risk companies engaged in transmission, distribution, and other related services.